PJB Lock it circular sold secure padlock. 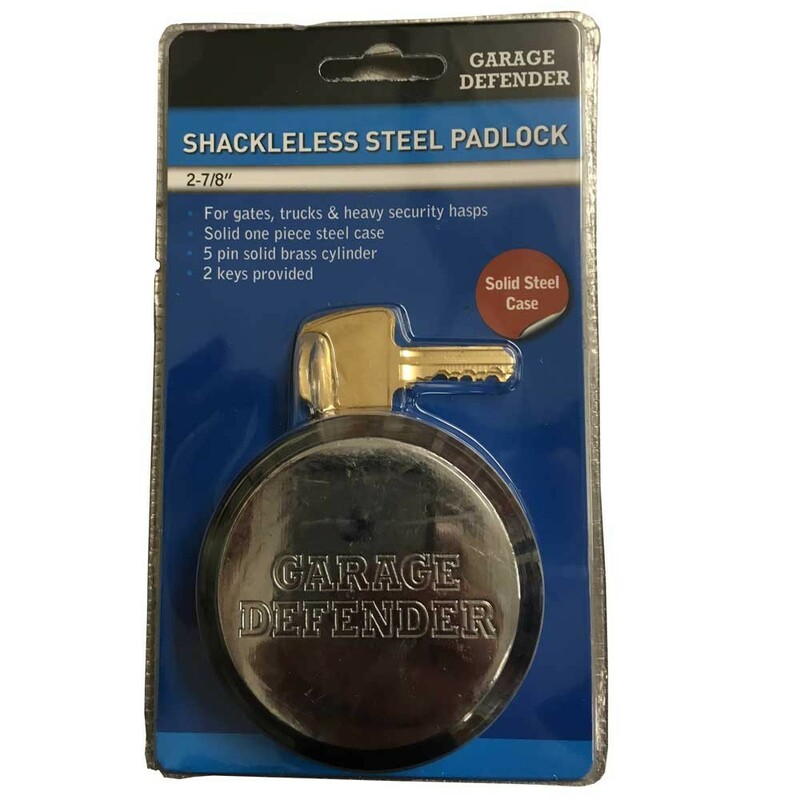 73mm diameter circular Shackle-less solid steel padlock. Hardened steel padlock body. 5 pin removable cylinder. As used in the Sold Secure approved PJB Garage Defender Master (ref PJB301) and the PJB Blue Spot Hasp (ref PJB314).